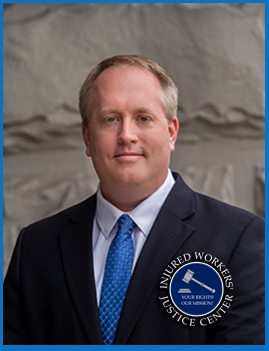 Injured Workers’ Justice Center | Workers' Compensation Lawyers - Injured on the Job? Welcome to the Injured Worker’s Justice Center. Our attorneys provide exceptional legal advice and representation dedicated to helping injured clients and those who have lost loved ones obtain compensation for their losses from on-the-job injuries. 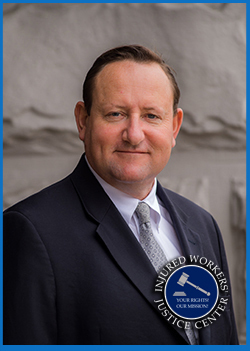 We help clients navigate a complex legal system to obtain justice through the workers’ compensation system. Our office specializes in the successful representation of injured persons and families who have suffered due to an on-the-job injury. We have the skills, staff and experience necessary to pursue complicated workers’ compensation cases including those involving catastrophic injury and death as we are your worker’s compensation lawyer , personal injury attorney. We provide free consultation, and we’re paid only when we win your claim. You’ll pay no fees if we don’t obtain compensation for you. That’s right, no fee unless you receive compensation. In most cases, recovery of any of our costs of handling your case are also contingent upon a recovery. We also provide free initial consultations with an attorney. Initial consultations are free, confidential, informative and convenient, and can be either by phone or in person at our office located in downtown Chattanooga. All our consultations are conducted by experienced attorneys with many years practicing worker’s compensation law. Regardless of the nature or severity of your injury, if you or a loved one was injured because of someone else’s negligence, you have a right to seek financial compensation. Our office can help. Contact Injured Worker’s Justice Center for a FREE CONSULTATION to discuss your personal injury or wrongful death claim.